The Pentagon is expected to award a contract later this month or in early June for construction of a mechanical-engineering building at Fort Greely’s missile field 1. Fourteen more interceptor missiles like this will be added to the 26 at Fort Greely's missile-defense base as part of a buildup under way at the installation. That’s welcome news to Delta Junction-area businesspersons like Curt Dufendach, sales manager of Alaska Industrial Services. “We see it as a positive thing for the community and for the overall defense of the country, too,” Dufendach said. Missile Field 1 is the first of three such fields built on the base at Greely -- completed in 2004, then mothballed in 2011, due to water damage and chemical contamination in underground corridors caused by poor design. Those problems were cleaned up over the past year. And a Missile Defense Agency spokesman says work can now begin on the mechanical-engineering building. Spokesman Richard Lehner declined to talk on tape, but he says the project is scheduled to begin later in the summer and will be completed by October 2016. That project is part of the Pentagon’s plan announced a little over a year ago to boost the number of interceptor missiles at Greely to 40, from the present 26, in response to provocative actions by North Korea. 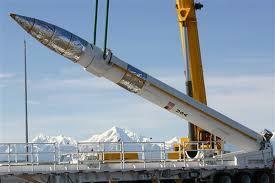 The buildup is part of a $4.5 billion boost to the Ground-based Midcourse Defense, or GMD, system. Most of that money will go to expanding Greely’s missile base, which is the hub of the GMD system. The new missile field 1 structure reportedly will be built under a so-called “design-build” contract, which enables a contractor to get to work on a project sooner. Dufendach says the local business community doesn’t expect much work to be done at the missile field this summer. But he says next summer will likely be quite busy. And he expects purchases by the project’s contractors and subcontractors will give businesses locally and statewide a big boost. “What we primarily focus on is supporting the subs, with our rental gear and of course the fuel station and industrial sales and so on,” he said. Meanwhile, the Missile Defense Agency will try again soon to improve the GMD system’s performance in intercepting incoming missiles. It’s failed in eight out of 16 tests so far. The agency’s spokesman says another test is scheduled for this summer. 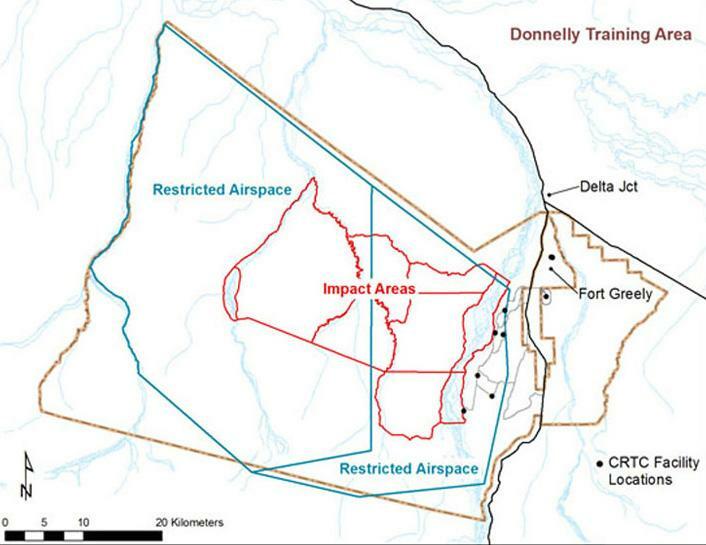 The military has signed off on an expansion plan for Alaska training operations and areas. The Alaskan Command, representing the Army and Air Force, published its formal record of decision Tuesday on changes to the Joint Pacific Alaska Range Complex, or “J-PARC”. KUAC’s Dan Bross reports. City and borough government officials here in Alaska are a bit on edge about Congress’s failure to provide funding for the PILT program, which helps local governments with a lot of federal land in their areas. The program is especially critical to smaller communities like Delta Junction.